Remember last week when I briefly told you about the Cooking Planit App I have been using to help me around the kitchen? Well today I wanted to give you guys a more detailed review about what I love about the app, share the smoked mozzarella and chicken pasta recipe/cheesy garlic bread recipe (special thanks to those of you who took the time to vote), and remind you guys about the awesome #FormaggioChallege. Last week I focused on Cooking Planits new features, the Meal Creator and Scheduling (read here if you missed it). Today I want to focus on some of my other favorite features: My Cookbook and Groceries. I absolutely love that you can create your own personalized cookbook. You can either view your cookbook in alphabetical order or by the total time it will take you to complete a meal from prep to serving. 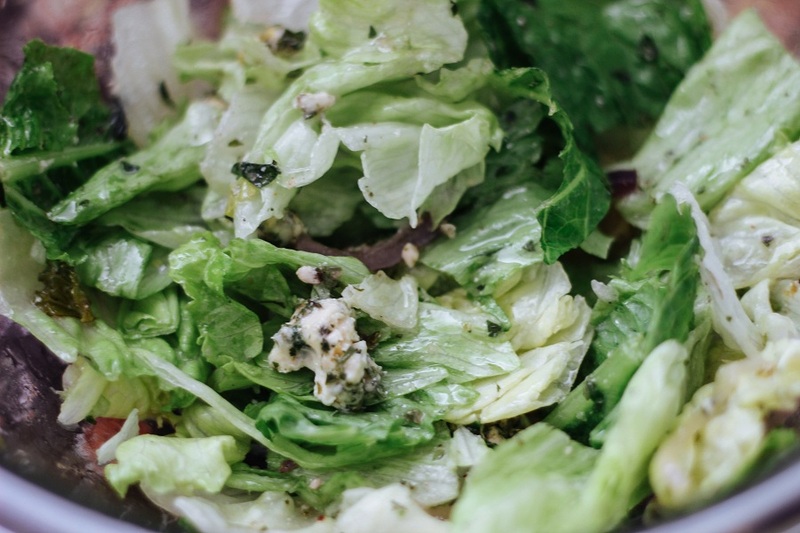 Mixing and matching different dishes and creating new meals has never been this easy; I love that I don't make the same side dishes with the same meal every time. Although the meals I made last week contained a lot of carbs I didn't feel bloated and gross afterwards because every meal I made included fresh ingredients and were very filling (so I didn't overeat). Our family personally loved the Parmesan Panko Chicken, the Almond Crusted Chicken with Creole Sauce, and the Smoked Mozzarella and Chicken Pasta of course. Prior to using CookingPlanit I would have to sit down and write or type out my grocery list and once I had everything written down I would then organize it by grocery store aisle which took an hour out of my Sunday and Wednesday evenings. On top of that it would be a pain to open up my word document via email on my phone and manually delete each item as I put it in my shopping cart. The other half of the time I would bring a notepad and pencil and cross off each item.. not anymore. The Cooking Planit app organizes my grocery list for me by grocery aisle and if I click on an item it lets me know which recipe calls for said item (LOVE this feature). After I check something off the grocery list it vanishes leaving my grocery list even easier to read and I love that it's all on my phone. If you haven't already looked into the Cooking Planit app (iPhone/Android), I promise you will love it and it will make meal planning and eating healthier meals so much easier. Now onto the recipes.. lets start with the Smoked Mozzarella and Chicken Pasta. 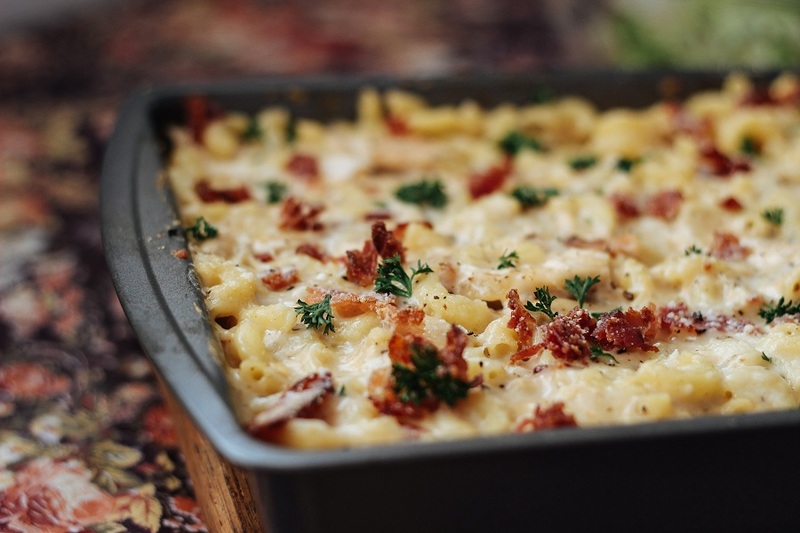 This recipe was beyond delicious and super easy to make with the Cooking Planit app. I decided to make Cheesy Garlic Bread and a Bleu Cheese Salad for the side dishes. Formaggio Cheese generously provided all of my cheese products (thanks again Formaggio) which were top of the knotch! I highly recommend using Formaggio cheese. Prepare a sheet pan with a layer of parchment paper. Dry chicken, set on sheet pan, drizzle with olive oil and season with salt, pepper and chili powder. Place chicken in preheated oven and bake until cooked through, about [25-30 minutes]. Fill a large pot 2/3 high with water and cover. Place over high heat. Proceed with next step as water comes to a boil. Prepare a plate with layers of paper towels. Set plate near the stove for the cooked bacon. Heat a medium saucepan over medium heat. Add bacon pieces and cook until bacon is brown and nearly crispy. 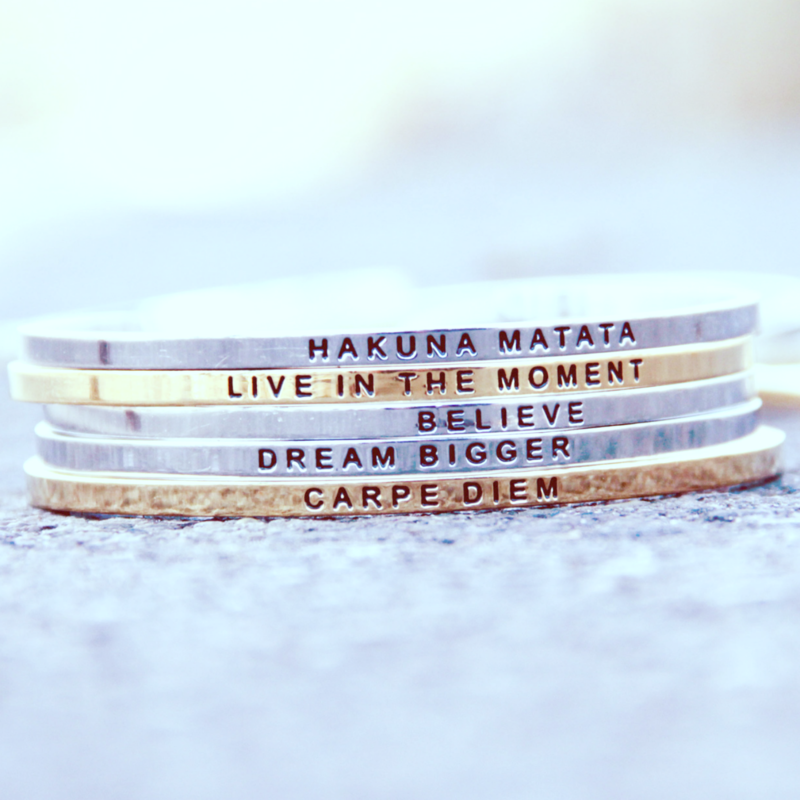 Stir often. Use a slotted spoon to transfer to plate of paper towels. Save saucepan. Once water is boiling, add 1 tablespoon of salt and stir in elbow pasta. Cook until just slightly tender, about [6 minutes], or about 2 minutes less than package instructions. 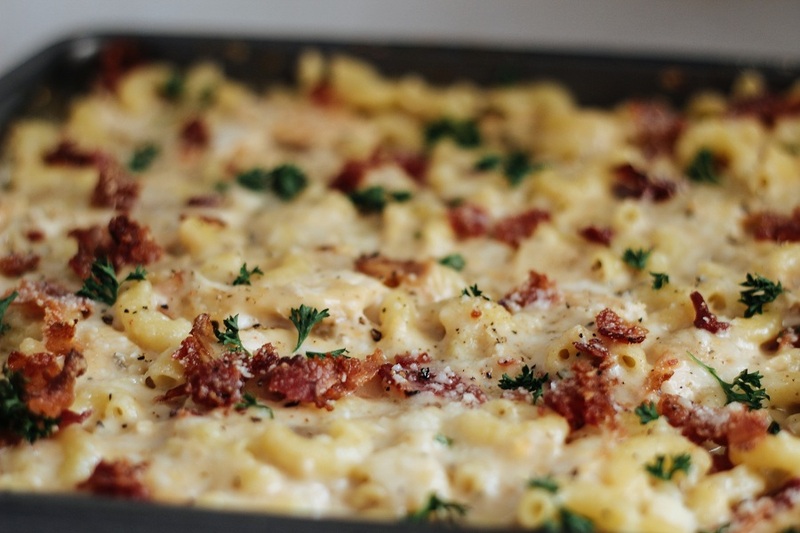 You want the pasta to be slightly undercooked since it will cook longer in the oven. Once chicken is out of the oven, allow it to cool until easier to handle, about 5 minutes. You want just enough bacon grease left in the saucepan to easily coat the bottom, about 1-2 tablespoons. Carefully pour or scoop out excess, then place pot back over medium heat. Add onions, dried basil and garlic powder. Crush basil between your fingertips as you add it to the pot. Saute onions until softened and translucent, stirring often. Stir in flour. Cook for 1-2 minutes to remove the raw flour taste, then stir or whisk in the milk. Keep stirring and be sure to get any flour from the edges of the pot. If flour is clumping, switch to a whisk. Allow milk to thicken as it slowly comes to a boil. Add smoked mozzarella cheese and stir until smooth. Remove from heat. Once chicken is cool enough to handle, use hands or forks to shred the chicken apart. Place in the pot of cheese sauce. Stir in bacon and pasta. Pour chicken and pasta mixture into 9"x9" baking dish. Sprinkle Parmesan cheese evenly over the top. Place in preheated oven and bake until top is brown and bubbly, about [10 minutes]. If top isn't browning, place under broiler instead, but only for 2-5 minutes. Let pasta rest for 3-5 minutes before slicing. 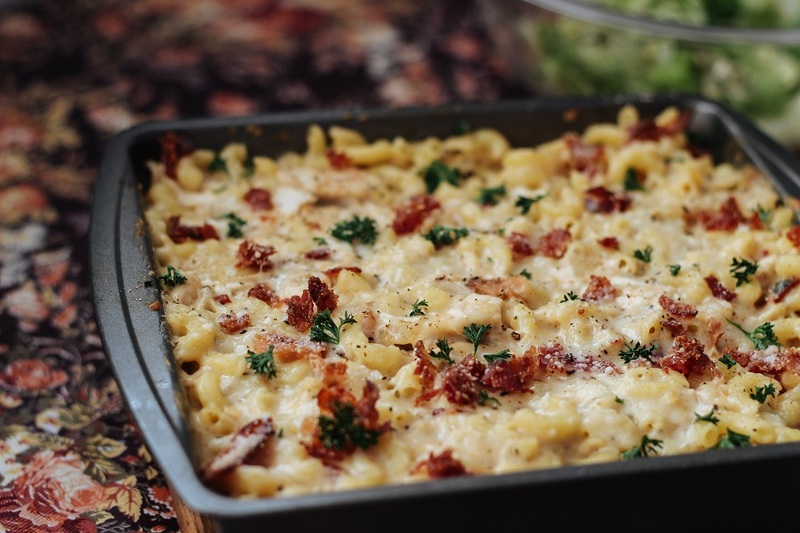 Scoop smoked mozzarella chicken pasta onto dinner plates. Serve warm! Cut the butter into small cubes and place in a medium mixing bowl. Let the butter sit at room temperature to soften. Smash the garlic under the side of your chef's knife to remove the peel. Mince the garlic, then add to the bowl with the butter. Trim parsley leaves from the stems and finely chop to measure the indicated amount. Add to the butter and garlic. Line a sheet pan with aluminum foil. Slice the Italian baguette in half horizontally. 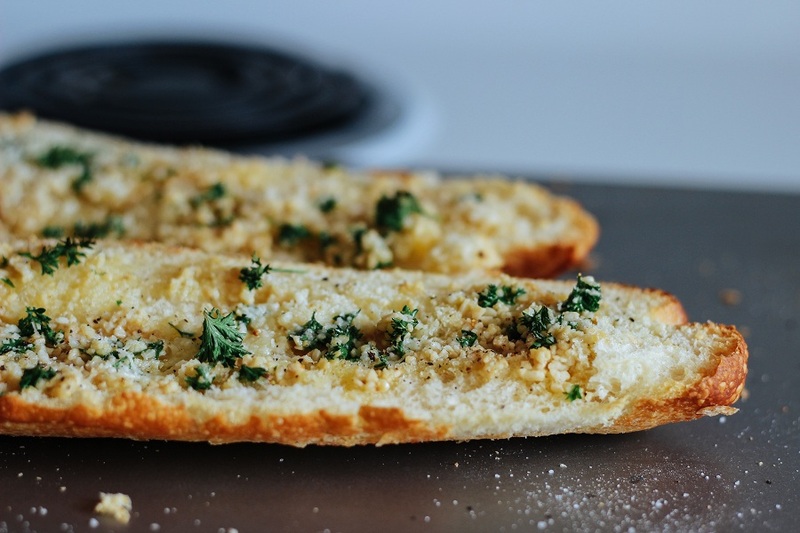 Add the grated Parmesan cheese to the butter, parsley and garlic and season with salt and pepper. Stir to combine well, then spread the butter mixture evenly on both halves of the bread. Place the bread on the prepared sheet pan. Reserve the cutting board. Place the bread in the preheated oven. Bake until the cheese is melted and golden brown, approximately [8-10 minutes]. 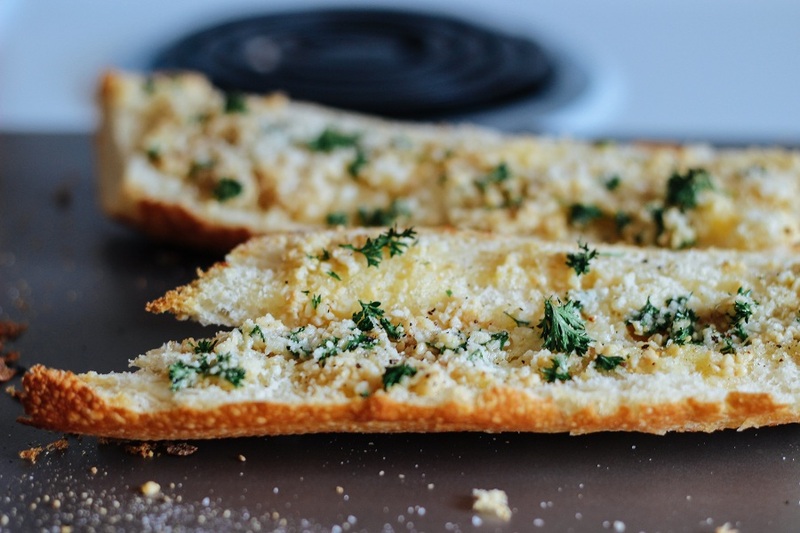 Once you've removed the cheesy garlic bread from the oven, cut each half into 4 pieces. Transfer the pieces to a serving platter or dinner plates and serve warm! 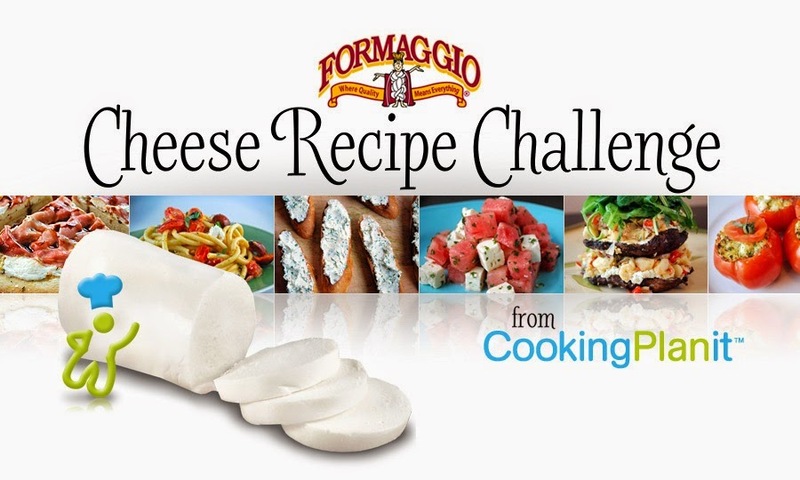 The #FormaggioChallenge runs June 9-19th so start entering your cheese-centric recipes on Cooking Planit's facebook page here. Remember 3 winners will will a Formaggio Cheese Basket ($100 value), A 5-piece Cheese Knife Set ($50 value) and have their recipe featured on Cooking Planit! Winners will be announced via Cooking Planit and Formaggio social media channels on June 27th. Your photos look so delish! I'm thrilled you enjoyed the recipes and your Cooking Planit experience. You hit on so many of the "challenges" that we (Cooking Planit) are trying to help people with these days - like keeping meals interesting, cooking with fresh ingredients, saving time on meal and grocery planning and helping you stay organized even through the shopping experience. So cool to read about it in action! Um this looks BOMB! You should keep up with the recipe posts, your images and info are so great!